Hello, I’m Chris James, your next realtor! We have a lot of catching up to do, so let me get started…. I got into real estate on the advice of my broker, Kevin Hughes. We have been friends since high school and have since followed each other across our various career paths. 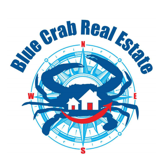 When Kevin started his brokerage, Blue Crab Real Estate, LLC., I retired and joined him. Our company’s mission is to provide exceptional service as we help people meet their real estate needs. 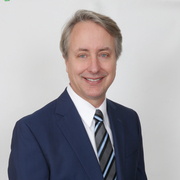 Kevin and I work collaboratively providing expert advice and proven techniques to buy and sell your home. I am personally known to be sincere and honest with a refined ability to listen. I was raised with a strong work ethic and will provide quick response times and strong negotiation skills. You will benefit from my diverse experience in buying investment properties since my 20’s. Listing and buying estate homes, waterfront hideaways, rental properties, 401K self-directed real estate investments, properties to Fix & Flip or Hold & Appreciate, as well as working with first time home buyers are all in my wheelhouse of experience. So, ask me questions and share your thoughts. You will be heard with both ears! I will always be committed to helping you meet your goals and dreams in real estate. It’s a promise! I worked for 30 years moving up the ranks at a large telco company, beginning as a young technician, then an assistant engineer, engineer, and finally a project manager for a national endeavor. An early retirement has allowed me to work fulltime now in a career that I take great pride in as I help others in selling and buying real estate. I am the proud father of two sons and have one special granddaughter. My marriage to my true love of 36 years and the woman of my dreams is treasured. I am truly blessed.